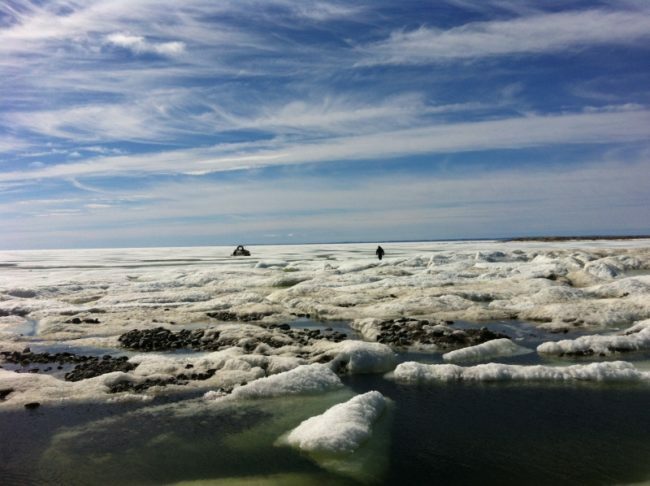 Arctic Circle Expedition, Naujaat – The Great Canadian Travel Co. Experience the excitement of crossing the Arctic Circle and spending time exploring the wilderness, far away from the hustle and bustle of city life! 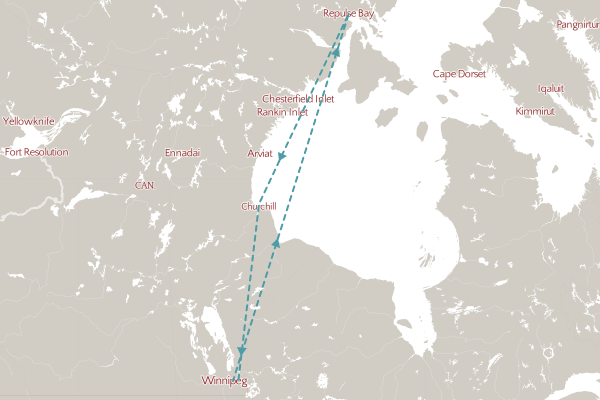 From Winnipeg, located in Canada’s golden prairies, travel far north to the traditional Inuit community of Naujaat (formerly known as Repulse Bay). 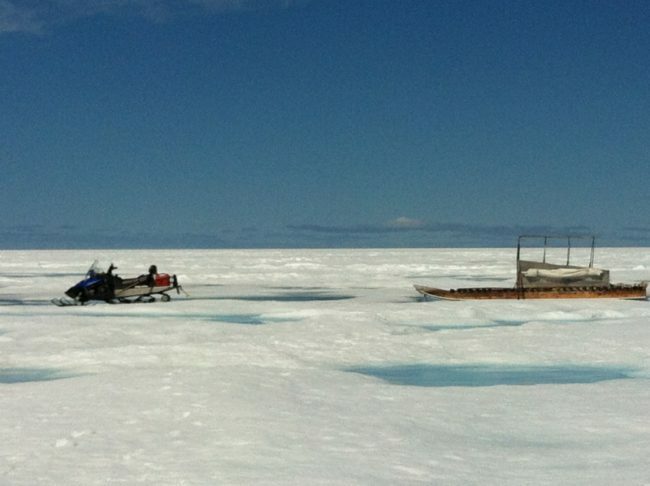 The actual start date of the season is subject to the ice break-up, but is usually around the second week of July. Prices shown are per person in CA$ based on two people sharing a twin room. Prices for one person in a single room are available on request. Final pricing may vary from that shown, depending on the availability of flights and accommodation. Arrive into Winnipeg, Manitoba’s capital city, anytime today and make your way to The Grand Hotel, Winnipeg Airport for your overnight stay. The hotel is directly across the street from the main airport terminal. The Arctic Circle awaits you! Board your flight to Naujaat (Repulse Bay) and head north. 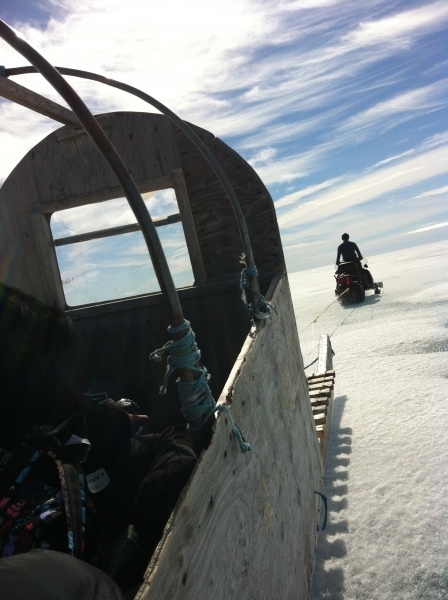 Today we will fly straight north over and above Hudson Bay to this small hamlet, home to approximately 1,000 people. 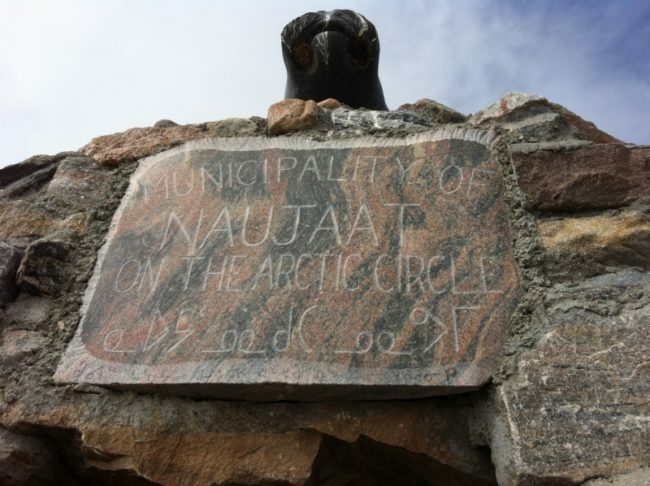 Naujaat lies directly on top of the Arctic Circle in central Nunavut. 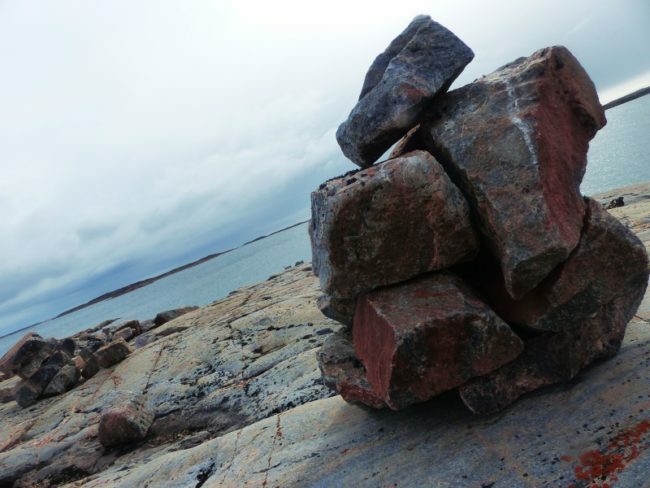 It is here that the Arctic Circle cairn stands, a symbol that marks the Arctic Circle’s location. Naujaat is the only North American community located on the Arctic Circle. Naujaat, which means “nesting place for seagulls” is situated near the nesting grounds on cliffs five kilometers north of the community. Every June the area is occupied by thousands of gulls, as well as snow birds, loons, eider ducks, longtail ducks, and jaegers. Upon arrival, you will be met by your local guide and head over to your accommodation. 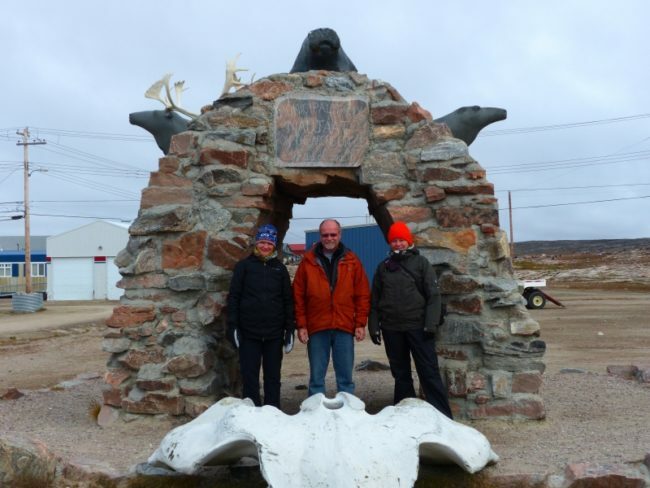 Today you’ll take a community tour that includes a visit to ancient ruins and spot remnants of Bowhead Whale bones. You will also have time to get your Arctic Circle crossing certificate, and take photos at the monument to prove that yes, you really were this far north! Naujaat is renowned for its excellent artisans, especially for its Inuit carvers who work in bone, ivory and stone. The past is valued here, as you’ll soon see. Artisans create exquisite imagery in stone, intricate jewellery, and beautifully designed clothing that is warm and practical. Hopefully we will have the chance to meet some local soapstone carvers. After dinner you have the option to stay outside and marvel at the bright skies, even late at night! Because of the midnight sun it’s possible to read a book outside at midnight for most of the summer months. Or venture over to the community hall for a game of pool with the locals. The children of Naujaat are among the friendliest in the Arctic. They’ll greet you with shy smiles that turn into a friendly “Hi!”. Then, they’ll ask your name, tell you theirs, and an instant friendship blooms. Meet your local guide after breakfast and embark on a boat trip out to the Harbour Islands, which consist of approximately 15 islands lying off the north coast of Naujaat. 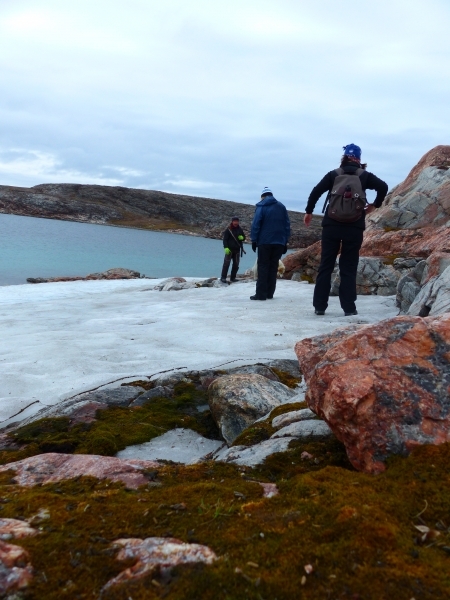 A little over a kilometre from shore, the islands appear as sparsely vegetated rocky outcrops. The largest island, measuring approximately 2 km by 1 km, has two small creeks each fed by a lake. We’ll watch for sea life, wildlife and birds, savouring the encounters that we hope will come our way! Marvel at the freshness of the air surrounding you but, be aware, the sun is surprisingly strong this far north so remember to bring your sunscreen. Weather and time permitting the boat tour may also visit North Pole River and the John Rae house. 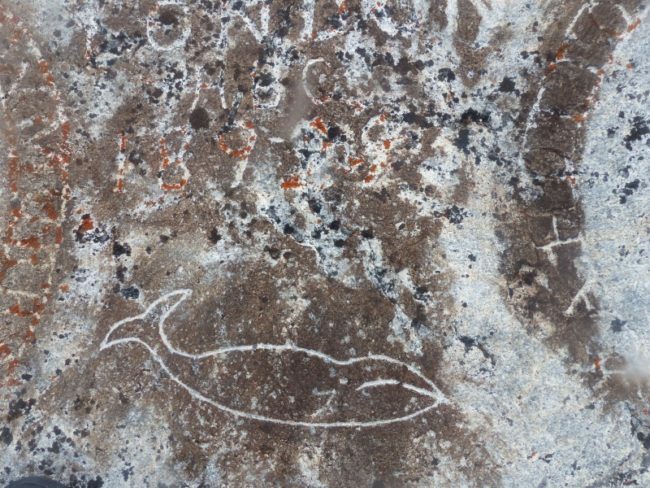 John Rae, a young doctor practising in Canada at the time, was commissioned in July 1846 to sail up the west coast of Hudson Bay from Churchill to Repulse Bay to examine the north coast of this mysterious bay. Rae discovered this beautiful area and returned in August to winter. 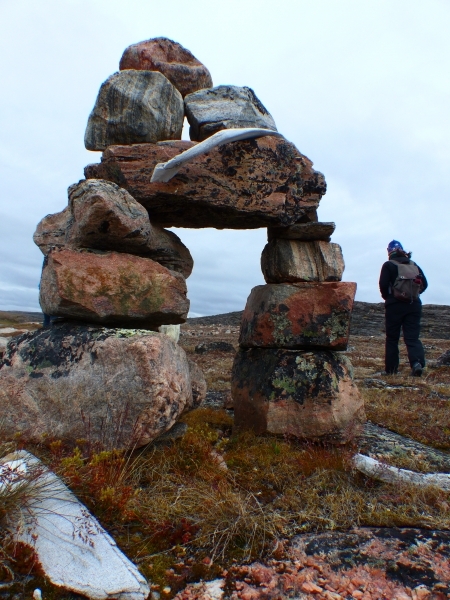 This was when Rae and his men built the stone house at Fort Hope (North Pole River). Some of the parts were even brought up from Churchill. He was experienced with constructing stone houses as he was native to Scotland and familiar with the sedimentary rock surrounding him. Construction was finished by the beginning of September and the rest is history! This evening enjoy dinner back at your accommodations before heading to bed for well-deserved rest. Take another look around as you embark on another day of exploring in this community. You may want to pre-book a hiking tour with our local guide or just look around town on your own. Alternatively, if weather didn’t permit a visit to the Harbour Islands, North Pole River or the Jon Rae House yesterday, you can do that tour today. After dinner you can spend time at the community hall with your newfound friends from Naujaat. If you are an early riser, this morning you will have time to explore town and perhaps purchase some art before our late morning flight back to Winnipeg. Take a wander through the co-op, take last minute photos, and say goodbye to the new friends you now have living on the Arctic Circle. We’ll board our flight which will take us community hopping south. Window seats are ideal, as the views on clear days are spectacular while flying over Nunavut’s Kivalliq region. On arrival to Winnipeg you cross the street to your hotel for a final overnight stay. Check out of your hotel and make your way to the airport terminal to check in for your departing flight back home or onward to your next destination. We’re sure you’ll take many wonderful memories of Arctic Canada with you! 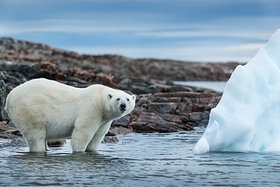 This is your chance for an authentic Arctic Canada experience at the Arctic Circle, as you explore lands that few visitors reach every year. The Arctic Circle is a line that delineates the points on the earth’s surface north of which the sun is above the horizon for 24 hours on June 21, and entirely below the horizon for 24 hours on December 21. This program is 100% weather dependant and we reserve the right to shift departure dates or change the order of the components to take advantage of the ever-changing floe edge. 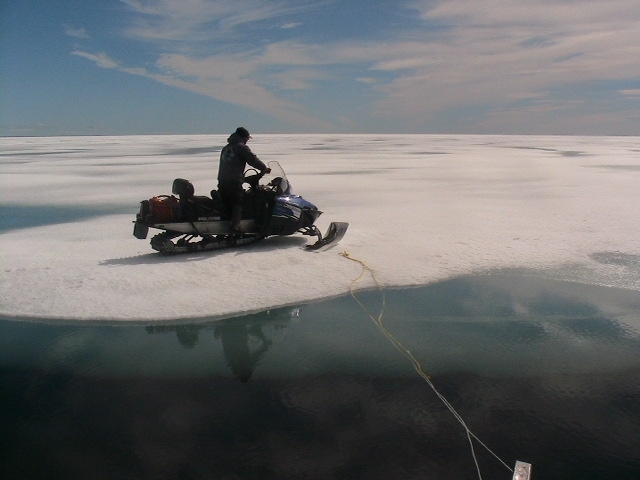 The journey to the floe edge is a full day excursions. 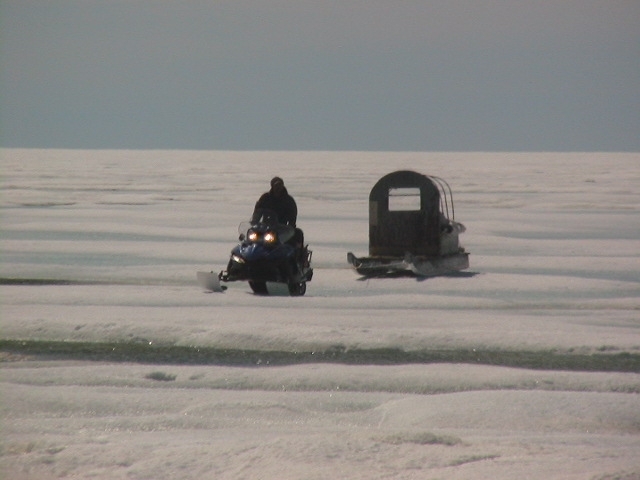 The ride over the sea ice and the tundra is on a traditional qamutik pulled by a snowmobile. Not recommended for travellers with any health concerns, especially back problems. Winnipeg extension: You may choose to stay in downtown Winnipeg and add on a day or two in the beautiful, capital city, visiting the many interesting sites here. Winnipeg is home to the Canadian Museum for Human Rights, the only national museum located outside of the country’s capital city of Ottawa; The Winnipeg Zoo featuring an award-winning polar bear experience; the Winnipeg Art Gallery, with a featured Inuit art section; a beautiful, Legislative Building with the Golden Boy atop its dome and the Manitoba Museum, featuring a replica of the sailing ship The Nonsuch and a Hudson’s Bay Company exhibit.